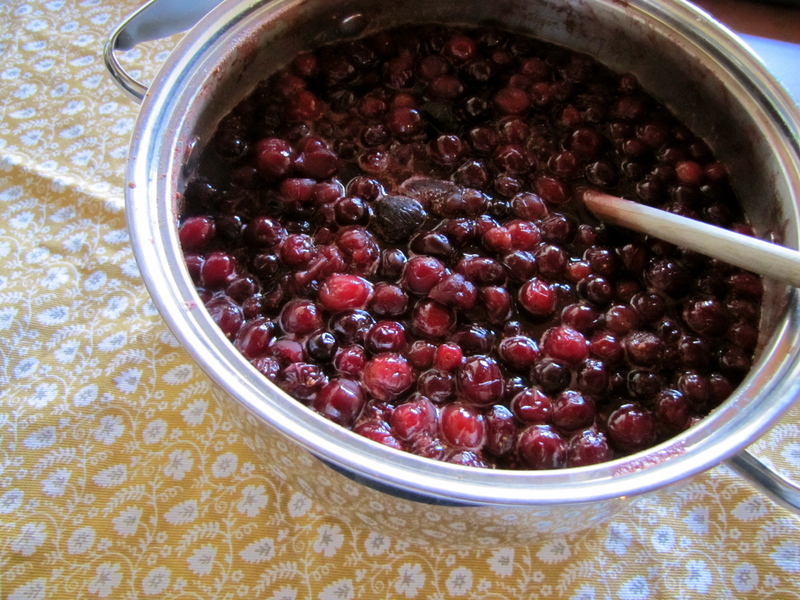 Cranberry Fig Sauce – Voila! When you cook for Thanksgiving, you’re not really cooking for one night. You’re cooking for one night and one day of leftovers. So when you plan on cooking cranberries for 8 people, it’s really like planning for 16 because everyone wants a full Thanksgiving meal the next day. So with that in mind, I poured in 3 bags of cranberries, 1 bottle of wine (mixed with sugar), orange juice, figs, more sugar, spices and stirred. It. Is. Delicious. 2. Mix all ingredients in a large pot and bring to a boil. Turn heat down and let simmer for about 15 – 20 minutes. Tweak sugar and spices as needed. 3. Turn heat off and let cool completely before covering and placing in the fridge overnight. Pingback: Banana Fig Bread | Voila!